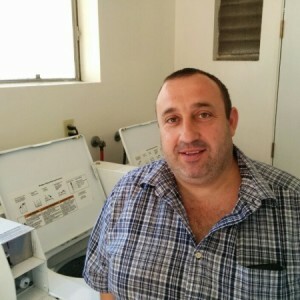 We provide honest and affordable appliance repair services throughout San Diego. We repair refrigerators, washers, dryers, dishwashers, ovens, and much more. Our service call fee is only $30 and is FREE when you have your appliance repaired by us. Give us a call at 619-327-9501 or schedule an appointment online. We service most areas of San Diego including El Cajon, Santee, Chula Vista, East Lake, Bontia, and many more. Visit our Service Areas page to see if we service your area. Thank you for visiting our website. Please scroll down to find out more about our many appliance repair services. 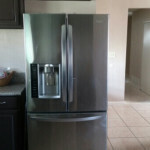 We also repair Built-In Refrigerators and High-End Appliances by Sub-Zero, Wolf, Viking, and many others. We provide repair service for Commercial Kitchen Appliances and Professional Appliances such as Heavy-Duty Dryers, Commercial Ovens, or Commercial Refrigerators. Our service charge is the lowest in the business at $30 for all home appliances. The service charge for commercial appliance repair is $75. If your appliance is repairable and you choose to have your appliance repaired by us, you will only pay for parts and labor. The appliance repair service fee covers our insurance, gas, and the time involved to diagnose your appliance. 1 Year Labor Warranty, and 90 Day Parts Warranty on all parts used in your repair. We’ll take care of the manufacturer’s warranty if a part does fail after we install it. Your satisfaction is 100% guaranteed. 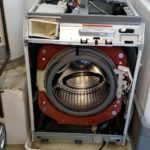 We believe to be the best appliance repair company in San Diego, you have to offer the best service and the best price for the repair. This usually doesn’t come easy since providing the best service requires being the most experienced in the business. We have over 25 years of experience in repairing residential and commercial appliances of all types. Our expert repair technicians are factory trained to service complex appliances by manufactures Samsung, LG, and GE. 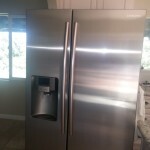 We provide appliance repair service to most of San Diego County. We service a 25 mile radius from the La Mesa, Santee, and El Cajon areas of San Diego. Our appliance repair service area extends as far south as Chula Vista and Bonita. View our service areas page to check if we provide appliance repair service in your area. 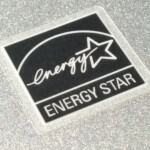 If you’re looking for the best in San Diego Appliance Repair, you’ve found it with us. Thank you for visiting our website! If you need appliance repair service, please give us a call at (619) 327-9501 or fill out our online Repair Request Form, we’ll call you. Click here to write us a review on Angie’s List. Visit our Google+ Page to write a Google Review. Samsung Ice Maker Repair on Samsung Side-by-Side Refrigerator- We repair all Samsung appliances, included Samsung Side-By-Side Refrigerators with Built-In Ice Makers. For this Samsung Ice Maker Repair, many different parts of the ice maker must be disassembled before the ice maker can be removed from the refrigerator’s side door. LG Refrigerator Ice Maker Repair- In this LG Refrigerator Ice Maker Repair we fix a side-by-side LG refrigerator with a door-mounted ice maker. Door mounted ice makers are very convenient refrigerator feature. Although, if the ice maker starts to leak, it can become a hassle very fast.